I hope that 2016 is off to a great start for you, with fun and exciting plans for the year ahead. We have more good news to share about the activities and accomplishments in the Psychology Department that I invite you to read about in this newsletter. We enjoy celebrating the achievements of our graduates and our faculty, who continue to be recognized by awards and honors. As department chair and a faculty member myself, I appreciate the hard work, perseverance and ingenuity needed to make new discoveries. Our outstanding and dedicated students, undergraduate and graduate alike, are indispensable partners in this progress. As a department we strive to provide meaningful opportunities to engage our many students in our classrooms, our laboratories and our outreach activities. We are grateful to you, our alumni, donors and friends of psychology, who continue to contribute to our community. Thank you for your support! Thank you to everyone who supported Giving Blueday! The day has passed, but the impact of these gifts is just beginning. 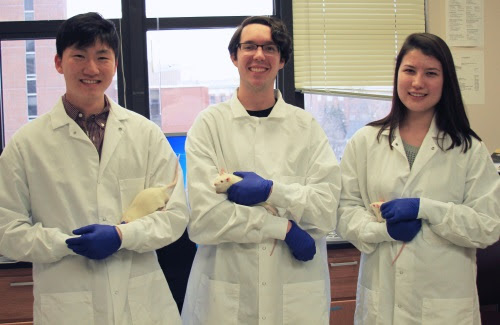 The Kessler institute, which aims to foster deeper research and new discoveries in the field, will support undergraduate and graduate student research as well as research by faculty members and visiting professors. 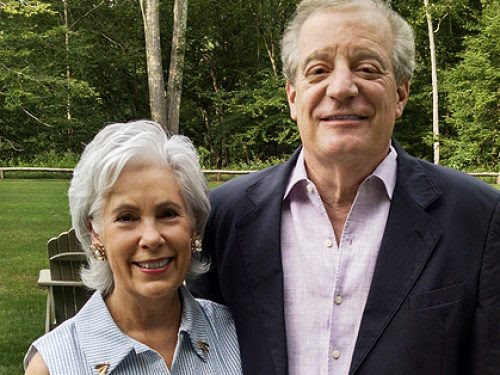 Learn more about the Kesslers and the future institute. 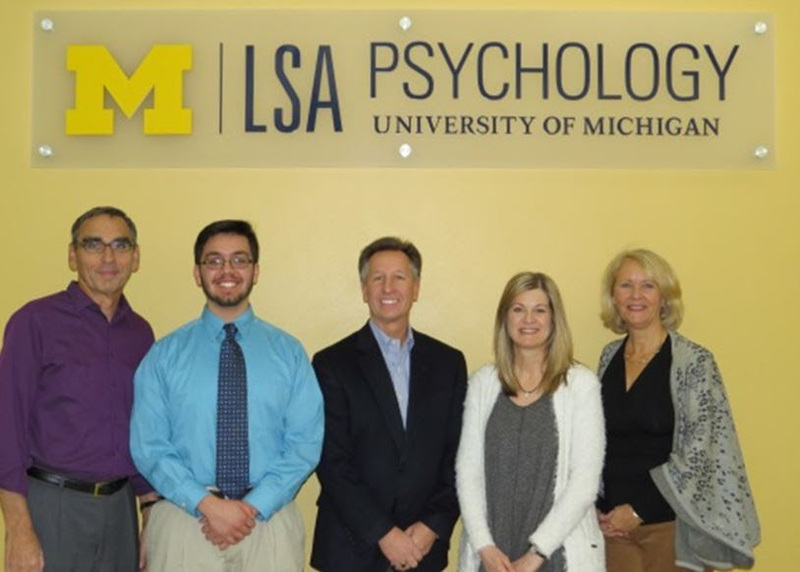 Thanks to a generous donation by Rich and Gwen Schwabauer a fund was created for service learning opportunities for undergraduate students in psychology. Read more. 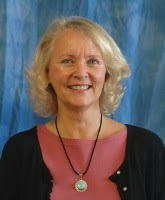 Dr. Huebner is a psychologist in private practice, treating children ages 12 and under, and their parents. She is also the author of the 6-book What to Do Guides for Kids series (over 700,000 copies sold) published by the APA’s Magination Press. Read more about what inspires Dr. Huebner and her experience at the University of Michigan. The Berridge lab seeks to understand how emotion, motivation, and learning are produced by neural mechanisms. Specifically, they look at the neurobiological processes of how pleasure and desire are created. Read more about their research. People might joke that they’re addicted to cookies or a favorite flavor of ice cream, but Professor Ashley Gearhardt’s research suggests that addiction to some foods could be no laughing matter. Learn more. David E. Meyer, Psychology Professor, one of the most famous psychologists living today, has been selected as the 2016 Henry Russel Lecturer. It is one of the university's highest honors for a senior member of its active faculty. Meyer will deliver the Russel lecture Feb. 22, 2016. Find out more about this award and Dr. Meyer. 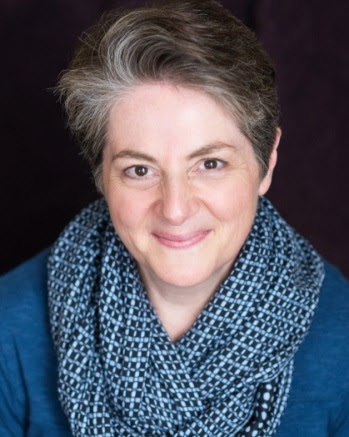 Patricia Reuter-Lorenz, Psychology Professor and Chair, has been selected as one of only 5 recipients of this year's Distinguished Faculty Achievement Award. These awards "honor senior faculty who have consistently demonstrated outstanding achievements in scholarly research and/or creative endeavors, have a sustained pattern of high quality teaching and mentoring of students and junior colleagues, and have contributed constructively to the University community through service and other professional activities which have brought distinction to themselves and to the University of Michigan." Robert Sellers, Psychology Professor and Vice Provost for Equity, Inclusion, and Academic Affairs, has been selected to receive an APA Distinguished Service Award. This award “recognizes individuals who have made outstanding contributions to psychological science through their commitment to a culture of service. Such service may include participating on boards and committees of psychological associations, editing journals, reviewing grant proposals, mentoring students and colleagues, advocating for psychological science with state and federal lawmakers, and promoting the value of psychological science to the public." 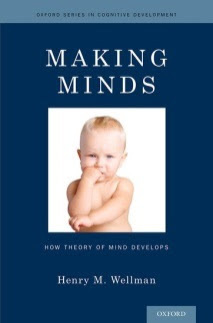 Psychology Professor, Henry M. Wellman’s new book "Making Minds: How Theory of Mind Develops" has won the Cognitive Development Society’s 2015 Book Award. 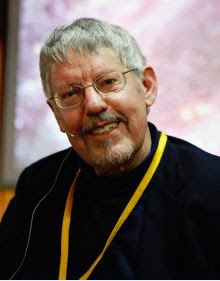 Building on his pioneering research in The Child's Theory of Mind (1990), Wellman reports on all that we have learned in the past twenty years with chapters on evolution and the brain bases of theory of mind, and updated explanations of theory and later theoretical developments, including how children conceive of extraordinary minds such as those belonging to superheroes or supernatural beings. Engaging and accessibly written, Wellman's work will appeal especially to scholars and students working in psychology, philosophy, cultural studies, and social cognition. 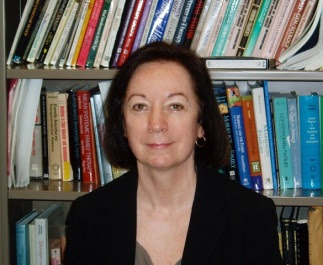 Sandra Graham-Bermann, Psychology Professor, will receive an Honorary Doctorate at Örebro University, Sweden on February 13, 2016. 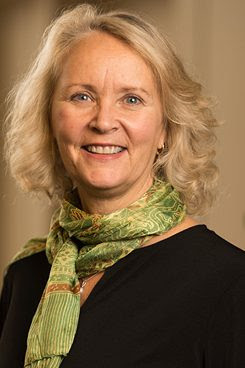 Örebro University stated that Dr. Graham-Bermann has, by her substantial and significant research, contributed to improve the chances of a better life for children who have witnessed domestic violence. Professor Graham-Bermann has brought about innovative collaborations between researchers and work professionals in the USA and in Sweden. Psychology Professors Terry Robinson and Kent Berridge have jointly been selected to receive the 2016 APA Award for Distinguished Scientific Contributions. This award "honors psychologists who have made distinguished theoretical or empirical contributions to basic research in psychology." Psychology Faculty Joseph Gone, Stephanie Preston, Monique Ward, and Daniel Weissman, were named APS Fellows by the Board of Directors in December 2015. Fellow status is awarded to APS Members who have made sustained outstanding contributions to the science of psychology in the areas of research, teaching, service, and/or application. Luke Hyde, Psychology Assistant Professor, Igor Grossman, recent Social Psychology graduate, and Kristine Molina, Personality & Social Contexts alumna, have been named Rising Stars by the Association for Psychological Science. The Rising Star designation recognizes outstanding psychological scientists in the earliest stages of their research career post-PhD whose innovative work has already advanced the field and signals great potential for their continued contributions." Read more about their research. Is it possible to be in 3 places at once? Julia Hopkins proves this is possible. Julia Hopkins, Psychology Junior, studying Biopsychology, Cognition, and Neuroscience. 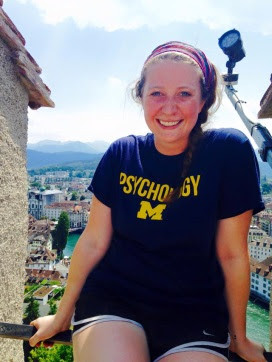 In 2015, she interned as a research assistant on a biopsychology project in Aachen, Germany. The photo was taken near a three-country point. 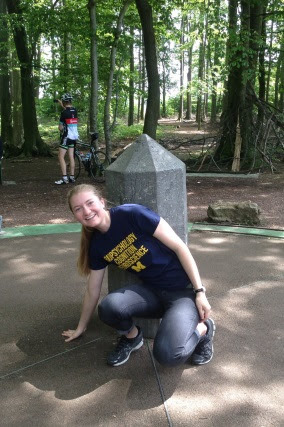 Julia is touching three countries at the same time in this photo: Germany, Belgium, and the Netherlands. This photo was taken in Lucerne, Switzerland on top of a wall surrounding the city.